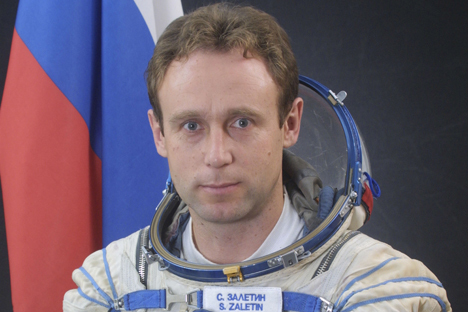 Russian cosmonaut Sergei Zaletin has visited both Mir and the ISS. The two-time commander spoke with RBTH about life in space, what makes the perfect cosmonaut and the importance of teamwork in orbit. “Outer space leaves no room for uncertainty: work there is always meticulously structured, difficult and scary,” says cosmonaut Sergei Zaletin. Throughout his 20-year career, Zaletin has been to two orbital stations – Mir and the ISS. The commander of two space crews told RBTH about the nitty-gritty of life in orbit, perfect cosmonauts and nail-biting experiences. RBTH: Today you may safely say that space is your second home, but 20 years ago you were only starting to learn the ropes. Are today’s requirements on cosmonauts much different from what they were back then? Sergei Zaletin: It has never been easy to become a space crew member. You need to have a diploma in an aviation or aerospace discipline, as well as five years’ work experience in a relevant sphere. A prospective cosmonaut should be 150-190 centimeters [between 4 feet 9 inches and 6 feet 2 inches] tall – previously, the maximum was 170 centimeters – and occupy an area of 80-90 centimeters in a sitting position. Special emphasis is placed on creative activities, perception and learning faculties, professional motivation and a knowledge of the culture and history of cosmonautics. Psychologists even study the candidate’s character, family background, work experience and criminal record. RBTH: Cosmonauts are subject to an upper age limit of 32 years. How can one’s ability be determined by age? Sergei Zaletin: There are all sorts of situations. You may join a crew at 25: after graduating and working at least three years in the field, you are entitled to apply on general conditions. You may become a cosmonaut at the age of 40, like Mikhail Korniyenko, and celebrate your 15th anniversary in space. You may even work in space when you’re 60, as is the case with Pavel Vinogradov today. RBTH: Are you saying that space adaptation and post-flight recovery periods don’t depend on age? Sergei Zaletin: Age is not the only consideration: much depends on physical condition and the program implemented in space. Every cosmonaut’s daily routine includes 2-3 hours of training on special machines. Otherwise, they might lose their ability to walk, lift weights and move their limbs. As for recovery on Earth, it takes exactly as much time as has been spent in space. RBTH: Is this a trend – to send older cosmonauts into space instead of making way for a younger and faster recovering generation of spacemen? Sergei Zaletin: When space exploration was in its infancy, cosmonauts were sent on missions right after graduating, as there was no one else to fill in for them and no previous experience of this kind. Today’s graduates have to wait 10-15 years for such a chance. Every cyclogram – a mission with pre-determined objectives and a list of crew members – is staffed long before the launch date. Task implementation steps need to be rehearsed over and over again, and medical, psychological and technical tests are performed regularly. The new generation finds it difficult to fit in these cyclograms, so they have to wait for the next recruiting opportunities, while continuing their studies in the meantime. RBTH: Could it be that the older generation is simply afraid to lose their place in the sun? Sergei Zaletin: We are cosmonauts and we don’t make any decisions ourselves. There are special commissions that profile people for missions. The old school is renowned and praised for its extensive space operations experience. In five years we will step down and young people will take our place, and, at 35-40 years of age, they will be fully prepared for space missions of any complexity. RBTH: In both of your flights, you were the captain of the crew. What were your duties? Sergei Zaletin: (Laughs) I was in charge of monitoring the crew’s safety, as well as implementation of our flight program in strict accordance with the plan. In most cases, we have a list of tasks broken down by the second. If some event doesn’t take place as scheduled, we wait for a certain number of seconds and then switch to an alternative operating mode. You see, every second is a matter of life and death to us. RBTH: That is something beyond my comprehension. Isn’t the automatic equipment supposed to help you in such cases? Sergei Zaletin: The concept used in Russia prescribes that we allow the machinery to work automatically, as long as all operating parameters remain within safe limits. As soon as automatic controls start experiencing major overloads, the crew should switch to manual mode. Most critical for any cosmonaut is the ability to distribute his attention effectively. On our first mission, the docking mechanism failed and we had to dock to Mir manually. RBTH: That is a tough proficiency test. Were you really disturbed when this happened? Sergei Zaletin: On your first flight, you don’t really understand what’s going on, so you are not afraid. But the more seasoned the cosmonaut, the better he understands the situation at hand and its possible consequences. Emotions become overwhelming as soon as you get inside a rocket, and you need to suppress them. I personally prefer to imagine that all this is just another drill. RBTH: And this helps you cope with the fear? Sergei Zaletin : No cosmonaut is ever free of fear. Every one of us knows that the scariest moment is when the fourth stage falls off the carrier at the 525th second into the flight and g-force gives place to zero gravity. Sergei Zaletin : Physically, it is the hardest part. Working in a spacesuit requires certain skills: for example, additional force needs to be applied to move your arms and wrists. As a consequence, several days of recovery are needed when you get back to Earth, due to muscle overload. These sensations are somewhat reminiscent of the adaptation period, which takes place at the station. Cosmonauts are advised against moving too much during the first couple of days in zero gravity, as movements within the spacecraft and frequent window-gazing throw the vestibular system off balance. Even so, the adaptation period is calculated for each person individually, as it is important to know when a given cosmonaut will be able to get down to work without any excessive stress. For example, Yuri Malenchenko, who has been on five space missions, is allowed to start working as soon as he unfastens his safety belt after docking (Yuri Malenchenko, present in the room, starts laughing and nods his approval). RBTH: Does a space crew ever deviate from the flight plan? Sergei Zaletin: We rehearse all our actions dozens – if not hundreds – of times with the help of training machines. Still, being on Earth is one thing (Zaletin moves a mobile phone from one place to another) and being in space is another. First, you have to glue a hook fastener to the phone, then attach loops to the deck and, finally, put the phone under a special rubber unit that prevents it from flying. If you do something wrong or miss one of the steps, the item will fly to some other place the instant you look away. It usually takes an hour to complete such an experiment on Earth, whereas, in space, double the time is needed. There is another problem: the scientific equipment on the station is passed between crews. RBTH: What’s wrong with that? Doesn’t the rocket have to carry a lighter load as a result? Sergei Zaletin: Picture this: you go to your neighbor’s place and she tells you where she keeps things in her kitchen, as well as how to open and turn the appliances on. Don’t you think you’ll have a lot of questions that she may never have thought of? RBTH: Have technologies changed much during your career? Sergei Zaletin: Mir is as different from the ISS as the early 1990s are from today. Now we have mobile phones and laptops, as well as faster and better-looking cars. When I was on Mir, it had been in operation for 14 years. That is a long time for a space station. The ISS is bigger and more powerful. Its control console is more convenient to use and tasks are assigned to different laptops – there are between 10 and 20 of them on the station. They look like their counterparts on Earth, but have been upgraded to deal with specific tasks. A conventional computer becomes obsolete in five years, whereas these devices need to be modernized every 18-24 months. The distribution of tasks between these laptops helps reduce the control center’s memory load. Even so, the ISS is no longer able to keep up with technological developments and will be decommissioned in a few years. RBTH: Do you plan to take part in any new space missions? Sergei Zaletin: Yes. Earlier I put my space career on hold to be able to participate in the work of Tula Region’s Duma. Now that I have successfully passed the key medical examinations, I am ready for new flights and I know I’m still going strong. Most likely, I will go into space with a group of space tourists in 2016. RBTH: Will you assume the role of a space guide then? Sergei Zaletin: Whatever space tourists would want to do – it’s none of my business. I’ll have my own assignments and experiments. I am a spacecraft commander – no more, no less.